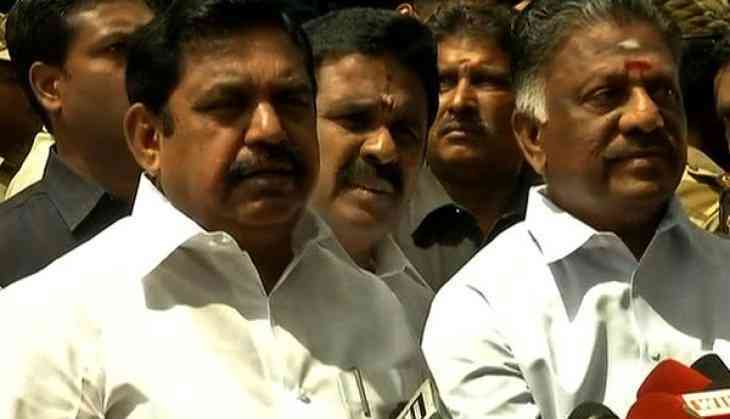 Tamil Nadu Chief Minister Edappadi K. Palaniswami on Monday, who visited ailing Dravida Munnetra Kazhagam (DMK) president M. Karunanidhi in Kauvery Hospital said that the latter's health condition is better and recovering. "I just met Karunanidhi in Kauvery hospital, he is better and is recovering well," Palaniswami said after meeting Karunanidhi. Meanwhile, DMK workers have gathered in large numbers outside Kauvery Hospital urging the hospital staff to update them about the leader's health condition. Heavy security has also been deployed outside the hospital to contain any unwelcome situation. On July 27, DMK working president and Karunanidhi's son MK Stalin asserted that party his father's condition is stable and he is responding to treatment.